Les Rencontres d'Arles 2012 is in full swing and the winners of this years book awards have been announced: The Latin American Photobook from Aperture and Redheaded Peckerwood by Christian Patterson published by MACK. The Arles win adds to the praise and awards for the already lauded Redheaded Peckerwood, which was on many best books of the year lists (including 8 lists on our own Best Books of 2011) and sold out within its first few months in print. The book is now available in an updated second edition, which Patterson says, is a great thing: "First, I wanted the book to continue to be available. I have nothing against the first edition of the book being a collected or valued object, but I don't want that to be a barrier to people who wish to access the work. I made the work to share it, not to have it become this unseeable thing. Second, I wanted to make a few subtle changes and refinements to the book. And ultimately, when we went on press, we had the opportunity to work on an amazing new printer that made this new printing even stronger than the first." (Read the rest of Patterson's post on the new edition.) And a hardy congratulations to MACK, who has published a winning book at Arles two years in a row, following up the win of Taryn Simon's A Living Man Declared Dead and Other Chapters in 2011. 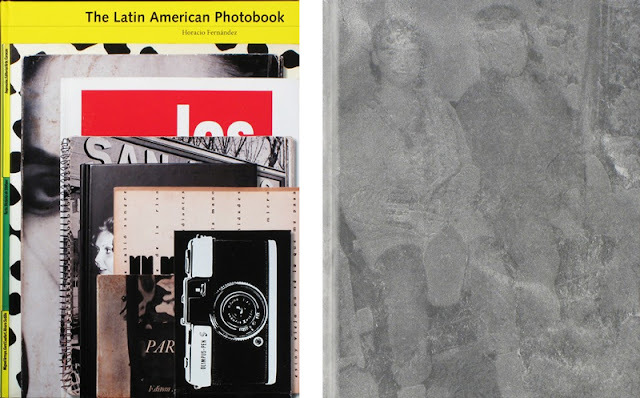 The Latin American Photobook is the latest in Aperture's survey of the photobook, joining Photographic Memory and The Dutch Photobook. From Colin Pantall's review: "The format is familiar; books are grouped into themed sections and described through key images and notes on how and where the photographer fits into a broader social, cultural and visual history of a region. And while many of the names are familiar (Testino, Sanguinetti, Calderon, Larrain), the vast majority will be new to all but the most dedicated photobook aficionado." The book has been credited as being an important and eye-opening study on Latin America's often over-looked contributions to the photographic medium.